The Tony Bettenhausen Recreation Center is in the final days of completion. The curved exterior metal roof and extended windows facing the community creates a welcoming statement. A gently curved roof spans over 105 feet and is wrapped in standing seam metal panels. The new structure takes material cues and colors from the existing building while integrating a new form. The facade looking out over the existing water park is also curved in plan to allow for a panoramic view. The curve follows the contoured form created by the waterpark. The views will create an interesting and integrating backdrop for the workout and cardio activity areas. The building interiors are currently being built and the building should be occupiable within weeks. The Chiszar Residence is currently under review through the Village of Naperville. 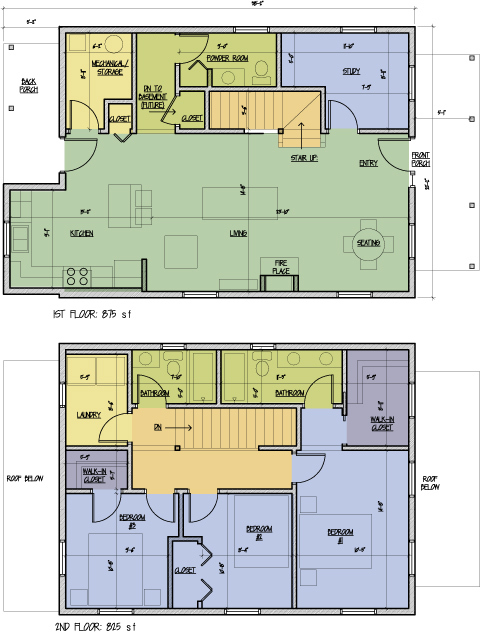 The plans show an efficient use of space on a property zoned in a flood plain. Working closely with the Village is necessary to anticipate any obstacles that may affect the planning process. 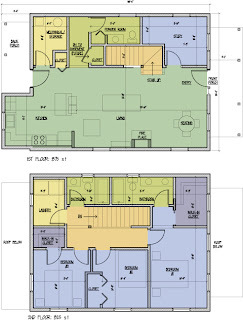 The residence features 3 bedrooms, 2.5 bathrooms, a study, and an open living space. Saint Peters United Church of Christ in Frankfort is entering an early phase of remodeling. The first steps are to update the building to accommodate accessibility code issues. 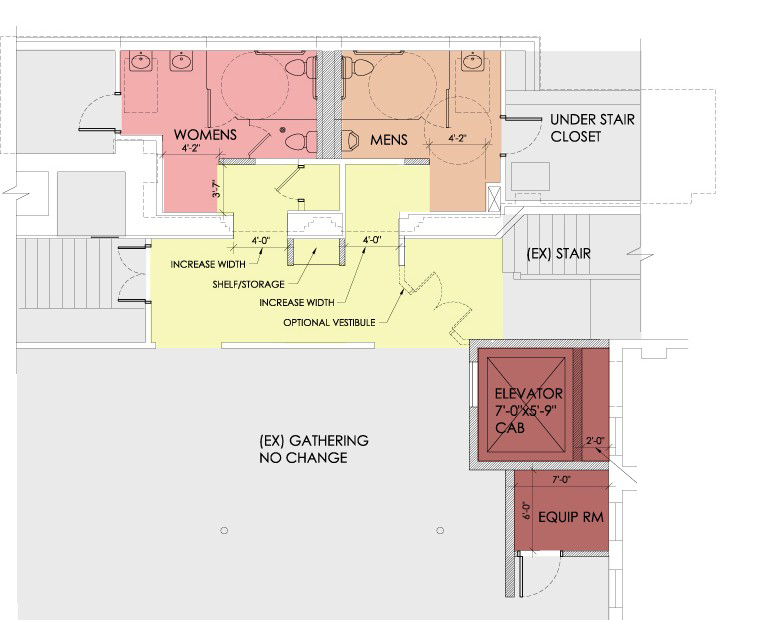 This puts the focus on re-arranging spaces for the restrooms and an elevator. The project is in preliminary planning stages and ideas will be presented to the Church for a feasible direction.